This estate engagement ring is distinctive and beautiful. 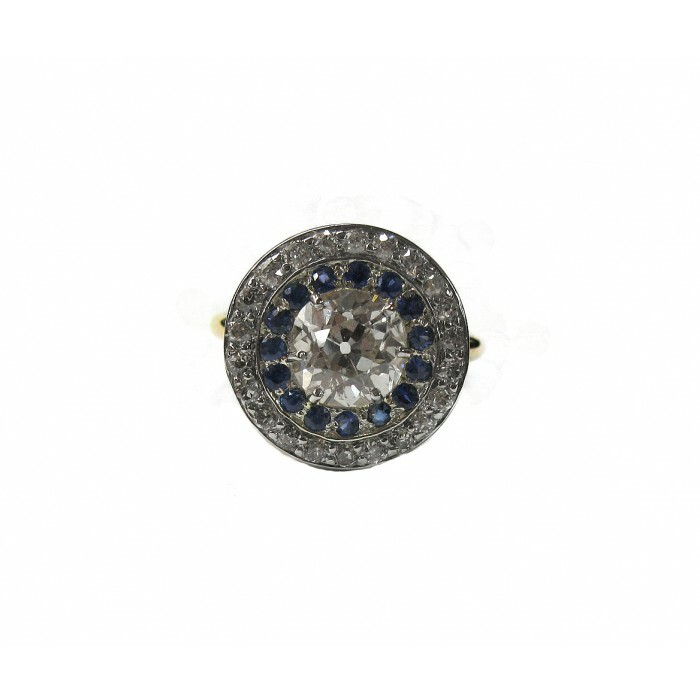 An Old Mine cut diamond is surrounded by a double halo of sapphires and diamonds. Its white gold top is offset by a yellow gold shank.